A full entry for the MIni Miglia! The date has been set - Saturday 16 March 2019. The Regs and entry forms are on the website. 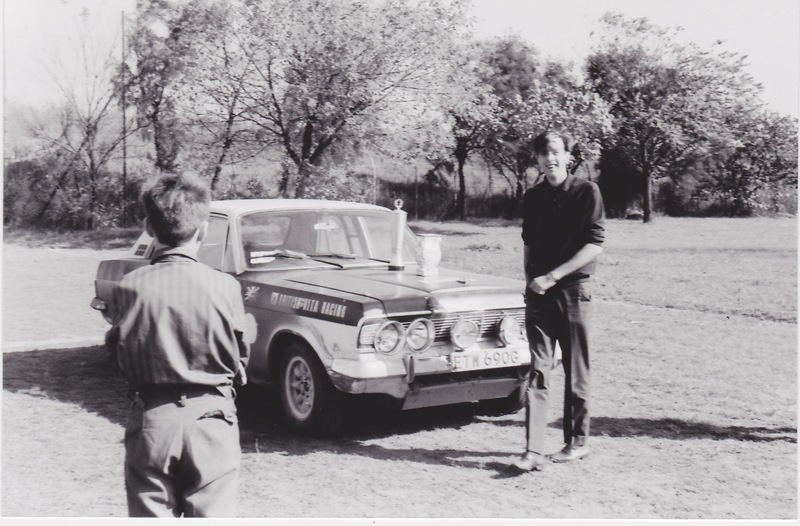 "It was at the end of the 3 Cities (Munich-Vienna-Budapest) Rally October 1969. 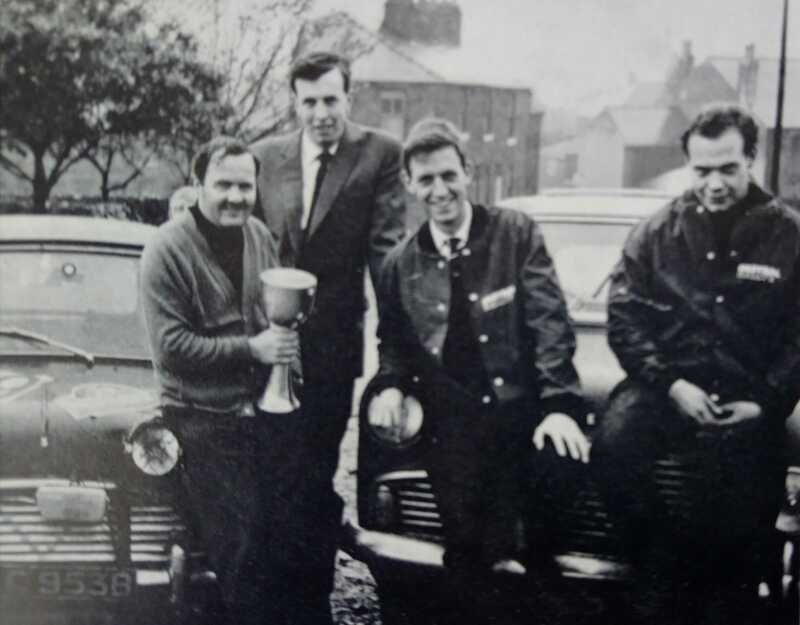 Ford wanted to promote the Zodiac via competition success & British Vita Racing got the job. We won the class but were about 14th overall - end of promotion of Zodiac! The metal trophy was given to me by Norman 2 or 3 years ago. He had removed it from British Vita for safe keeping." Below a team photo after the Danube Rally - caption to the right., also from Sarah. Possibly 1965 - there is video at https://youtu.be/55mLBpDd4xk and https://youtu.be/_7d0nMT7nQs. The second link is particularly interesting for us at about 1 min 30 secs in. At the last committee meeting it was decided to postpone the final treasure hunt of the series due to take place on 14th September. The nights are getting too short. The event may take place on a Sunday morning - more details when decided. Deryck put on a great run up through Whitworth then avoiding the centre of Bacup to run over Sharneyford and up to Sourhall. From there we turned towards Portsmouth before climbing up to the Long Causeway and then skirted Todmorden via Lumbutts before returning via the Lake to Milnrow. Crews still out after 8.30 found it difficult to spot clues in the failing light. 5th and 6th places resolved on shortest mileage. All out of maximum 44 points. The third Treasure Hunt in the series of five, this one organised by Steve Broadbent took us out over Buckstones and around Scammonden and Pike End before returning via the Lake. A selection of cryptic clues ensured that no one returned with a clean sheet. We had six cars on display at Rochdale Classic Car Show and plenty of interest from the visitors. Our new banners were on display with cars from Ted (Stag), Deryck (TR6), Terry & Robert (Subaru), Steve & Paul (Mini & Micra) and Tim & Steve (MG ZR) Photos are in the Gallery and in the banner above. Many thanks to Ted and Paul for the organisation. The Route card for the event is here: Route Card 22nd June. The AGM took place on 29th May 2018. The minutes of the meeting and the Annual Report will be in the members area of the website soon. The Beast From The East 2 didn't deter the hardy entrants and couldn't hold back the Knowldale team from staging another excellent Mini Miglia Tour.
" .. we had a great time, and despite he M6 being down to one lane over Shap we got home OK ..."
" ... the blizzard like conditions with periods of bright sunshine made it ... brought back happy memories of that wonderful 400 mile event the Yorkshire Rally." " ... Congratulations on an epic do ... we enjoyed it enormously and look forward to repeating the expeience next year." " .. Great event .. thanks to all those who made it happen including the marshals who must have been freezing." " ... spot on yet again." " ... chickened out at the lunch halt and put the hood up." " ... excellent organisation and running of the event." " ... brilliant route and great scenery"
Photos courtesy of Dickon Siddall are now on the Galleries/Mini Miglia 2018 page. Tuesday 19th December at La Tandoor in Bamford. See Knowldale Facebook Group Page for details. The 2017 John Clegg Mini Miglia Run touring assembly took place on Saturday 25th March. The weather changed for the better in the days leading up to the event, and crews were greeted by glorious sunshine throughout the day's run from Crooklands to Banny's. Photographs taken by Dickon Siddall can be viewed in the Gallery. Tuesday 20th December at La Tandoor in Bamford. See Knowldale Facebook Group Page for details. The Treasure Hunt due to round off the 2016 Championship has been postponed until early next year. The championship table for 2016 is finalised and shows President Paul Stringer to be the 2016 Social Champion. Full results here.